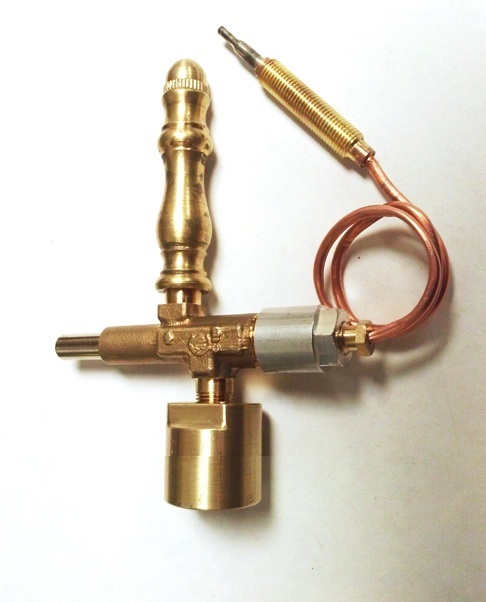 Our new Brass Spindle (SP107) - Open Flame Burner with Safety Shut-off Control Valve automatically shuts off the flow of gas to the open flame burner if the flame is blown out. Works great for indoor and outdoor installations where you do not want to let the gas continue to flow if the flame blows out. 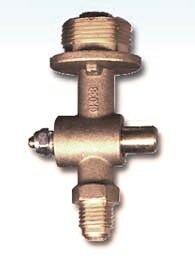 We have included a Mantle to Open Flame Adapter for ease in set-up in lanterns that use the VLV-100 style valves. Choice of Natural Gas; 2274 BTU / Hour @ 7" WC or Propane; 2307 BTU / Hour at 10" W.C. Choice of Round Top burner tip or Acorn burner tip for NG and Pyramid Knob tip for LP. 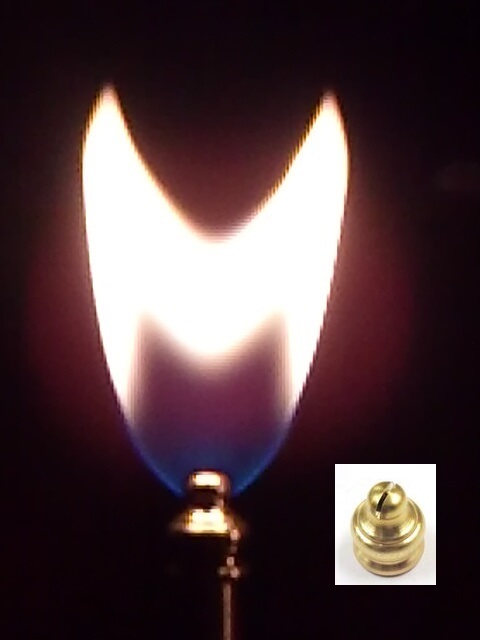 Our new "fishtail" flame "Pyramid Knob tip"
is designed for Propane (LP) burner setups. 6 1/2", for lantern models with sunken bottom. Width (including thermocouple): 4 1/2"
Wait 30 seconds and release. If the flame is ever extinguished during operation, the gas light automatically shuts off until it is manually re-lit. *NOTE: Do not remove orifice from valve. The modification is safe; make sure there are no leaks when the valve and burner are replaced with Adapter. ALWAYS leak test all fittings before proceeding using a soap and water solution. NEVER use a match or lighter to check for a leak! Always check local codes to see if this method is approved and use a certified plumber for installations. 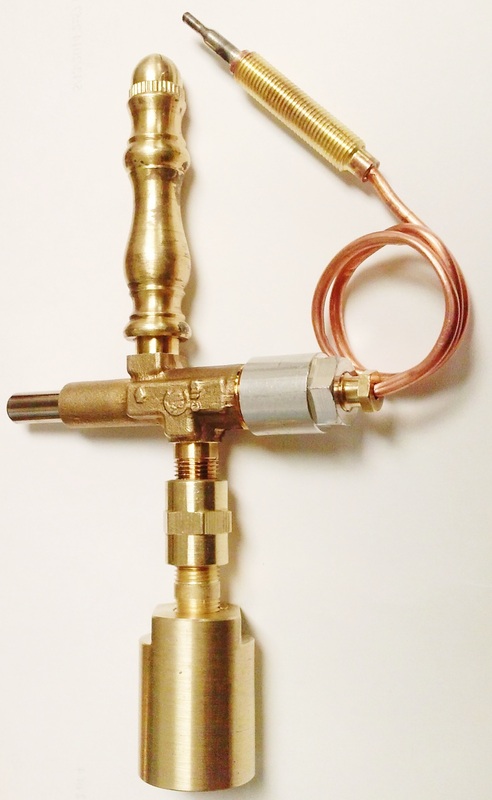 Need a custom burner with the Gas light Safety Shut-off Valve? Contact us and we would be happy to assist you in your design. Shipping charges on multiple item orders will be adjusted and a credit will be applied after purchase. Select OneHeight: 5 1/4"Height: 6 1/2"